Hi, I'm Jaime and I am a creative junkie. I believe my sanity lies somewhere in the midst of a creative project. If I don't have something I'm working on I feel as though I might go crazy. I have dabbled in acrylic painting, scrapbooking (both paper and digital), graphic design, home decorating, decoupage, refinishing, photography (both digital and film) and all other kinds of crafts. I wouldn't say I'm a master at any of them, but like I said it's where I feel most me. I have a dreams list of things I want to do in my life and on there are a couple more creative endeavors. Things like learning how to blow glass, write a book one day, and learn how to sew. Yesterday, my mother-in-law, the master of all sewing (at least in my book) started teaching me how to sew. I'm so excited for all the possibilities this brings into my creative world and my husband is excited someone in the house will be able to fix his pants again. I know I have a lot still to learn, but that's what makes it fun. Next week Joyce is bringing me a project. I'll keep you updated on my progress. I’ll be crossing that off my dreams list any day now. 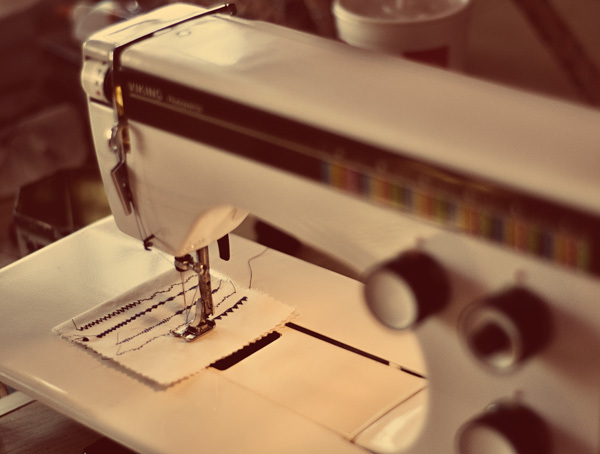 Today I'm grateful I am learning the art of sewing. So excited to see what you create!